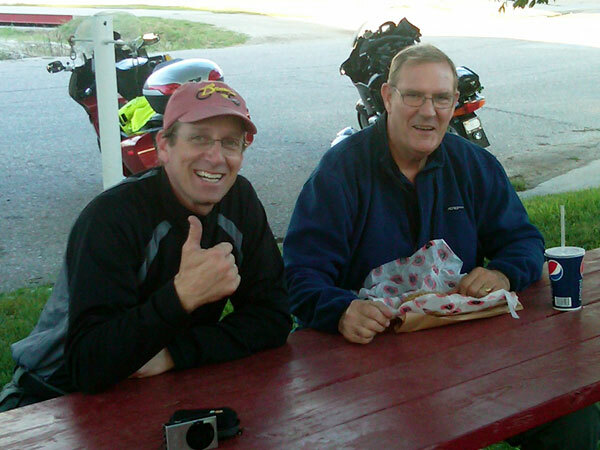 Stan Stille lead a group ride down through the Loess Hills to the ice cream shop in Moorehead, Iowa Tuesday evening. Jim J., Terry H. and Cathy H. joined him. Terry and Cathy showed up with their brand new 2010 Ultra Classic and spent a few minutes pointing out all the gee-wiz type buttons and options in the parking lot (Frump was there for the crash course as well). The group had a somewhat cool, but wonderful ride down to Moorhead. Ride in and have a hot dog, chips and drink from 11a.m. to 2p.m. Close out prices on new BMW’s. Hope summer has been good for you. The best riding season of the year is here. Ride with Nate Kerns at Mid America Motorplex. Call for details. Hoot Gibson was elected State Commander for the South Dakota American Legion June 20 in Spearfish. A ceremony to honor this occasion will take place in Sioux Falls on Saturday, August 14. The ceremonies will start with a continental breakfast at the Legion (1701 W. Legion Dr.) from 9-11 and will continue at 11:00 with a "caravan" to Memorial Park where a lite lunch will be served from 12:00 - 1:00. The installation will take place from 2:00 - 4:00. Social hour, dinner and dance will take place later. Hoot has invited Autobahners to attend the events. He will be riding in a sidecar for the caravan and would especially like to have Autobahners and their BMW's ride with him. This is a very important position for Hoot and it would be nice for Autobahn to show their support.